Are you planning to start a new business based on something that you are passionate about? 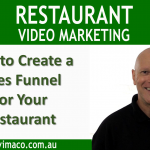 Well you can use video content marketing to make it become a reality. In the first part of this three part series, we looked at THE CONTENT. That is using your exiting knowledge or skills to create videos that people actually want to watch. But in this video, we’re going to look how to build your audience who will in time, become your loyal customers. Now that you have a strategy for creating your content, we need to develop a strategy to grow your audience because great content is worth nothing without an audience. Your audience, in time, will become your most loyal and committed customers. You see, when you are developing your audience, what you’re really doing is creating a customer database before you actually have anything to sell to. When the content and the audience first comes together its very much a two-way street. You deliver content that you are knowledgeable and that you are passionate about, you need to make sure you are attracting the right audience. For example you may be creating really exciting and fun videos for a top of the range model car, and you may be getting a ton of views, but you discover that the the majority of views are from kids. Now unless they are highly influential, or you are prepared to wait a long time until they grow up, then your wasting your time. In this case, you will need to modify your content to attract your target audience. So the question is, you exactly is your audience? To discover your audience, you need to clearly define who they are. Are they male or female? How old are they? Where do they live? What jobs do they have? What are their values and beliefs, their aspirations and what are their pain points? What keeps them up at nights? You need to be as specific as possible. Google up images of people and choose a face that best fits your audience persona, print it up and have it with you whenever you create your content. When your write your video’s scripts or outline, always focus on that image, as if you are talking to that one person only. Not only will this make your video more personal, but it will keep your content on track. Stage I: Get as many targeted viewers as possible to watch your videos. The topics of your videos should be based on the keywords that your audience persona uses for searching information online. Stage II: Invite your audience to engage with your video by sharing it or leaving comments. Youtube makes engagement easy for the viewer so take full advantage of it. Stage III: Ask your engaged viewer to subscribe to your channel. Once again Youtube makes it easy with a simple click. By being a subscriber, they have joined your tribe and will receive notices each time you upload a new video. Stage IV: Convert your subscriber into a lead. This process is enticing them to optin to your email list by offering them a something of value such as an ebook or an infographic. Stage V: The most significant step as you convert your Lead into a Customer. That is they have exchanged money for a product or service. So how do you get more views from your target audience? Many video content creators say that their greatest challenge is finding their audience to view their videos. The good news is that your audience is already out there. Right now, they are actively involved and engaged with video content from other people. Your job is to attract that audience and re-direct them to your own videos. To do that, we need to identify the “Influencers” that is the people who are already creating content for your target audience. Make a list of 20 Influences that you want to target. Some of these influences may be in the same niche as you, and some may not. However, all of them are targeting the same audience as you. Find the influencers video channels or their blogs and engage in their content. Re-tweet their tweets, plus their Google+ posts, Like their facebook posts and comment on their videos. Show them that you are truly interested in their content before you approach about collaborating with them. You can suggest to do a Google hangout on Air together or even a Bable. The objective is to grow both of your audiences by introducing each other to your own audience. This is the fastest and most effective way to grow your subscribers. And as we said earlier, subscribers are just a step away from joining your email list. Remember, your Call to Action for every video should always be to drive your audience back to your website. In our third and final part of this series, we look at how with content and audience together, we can start the monetization process and grow our business. If you would like the information from this video, at your fingertips, you can download this free PDF right here.